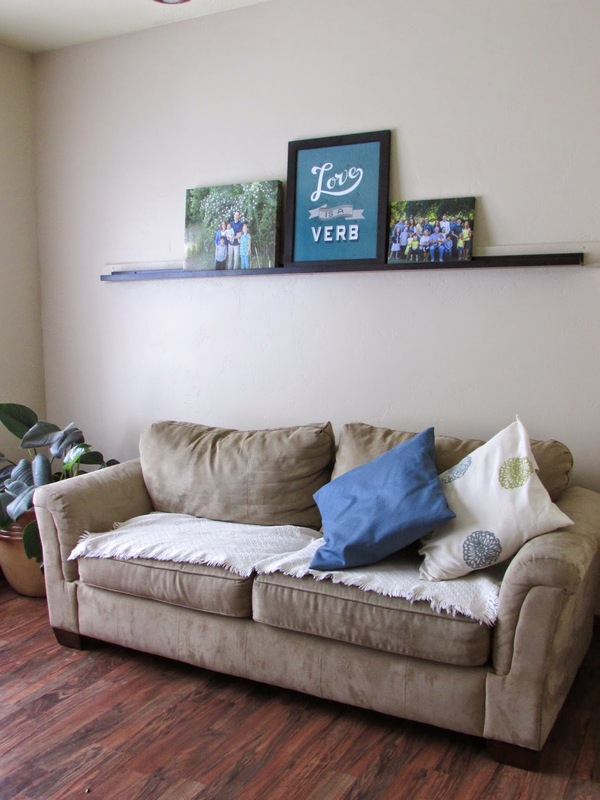 I have been wanting to change up our living room for the past several months. But because that's an intimidating and potentially stressful process, I've been putting it off. I've just received the kick in the pants that I needed in order to get started, thanks to Modify Ink. Modify Ink is a revolutionary idea for the home decor market. The idea is that you can easily alter artwork to fit your style and color scheme. They have a ton of options available, with more being added all the time. The ability to customize artwork based on your taste is such a fantastic idea. I really wish I'd thought of it. Watch their tutorial here. I spent a happy afternoon perusing the Modify Ink website, looking for just the right art to base our living room redo on. 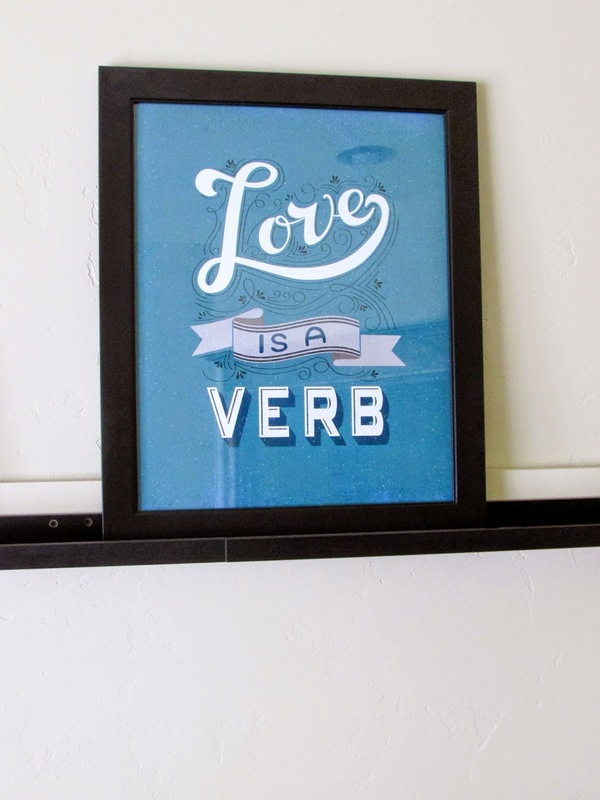 I finally settled on the Love is a Verb poster. (I'm hoping it will serve as a strong reminder to stop my children from bickering...what do you think?) I changed the colors around until they were exactly what I wanted and anxiously awaited the arrival of the print. I did have a small glitch in my order, but the customer service at Modify Ink was impeccable. They responded quickly and happily fixed the problem. It was clear that their goal is to give their customers the best experience possible. I was delighted with the quality of the print when it arrived. As someone who has spent a lot of time trying to figure out the best way to reproduce artwork, I was incredibly impressed with the results. 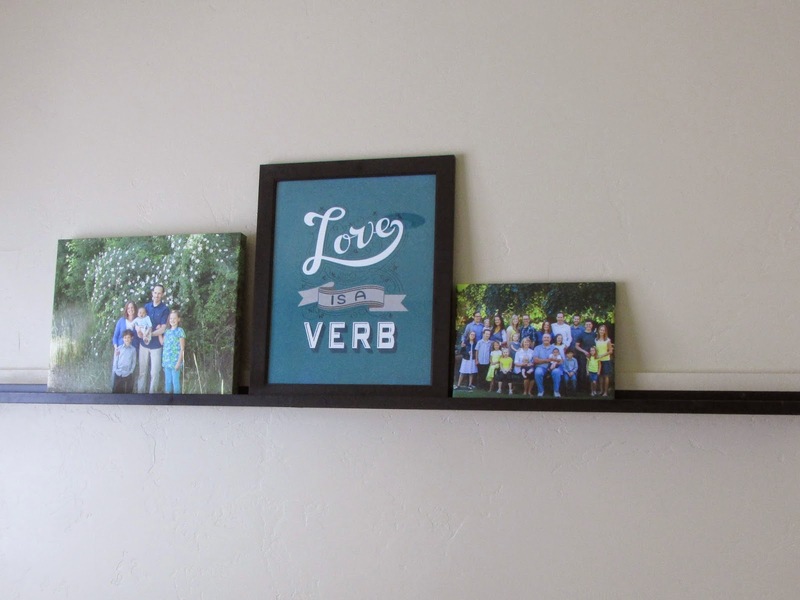 I bought a frame on sale at Hobby Lobby and placed the print on our Ikea photo shelves. I now have the starting point on which to base our living room decor, so expect to see some more updates in this space. By the way, I have a secret dream of submitting some of my own artwork to Modify Ink in the near future. I'll let you know if that happens. :) In the meantime I'll enjoy this customized artwork every time I walk by. Click here to receive 30% off your order for the next 72 hours! *I received product in exchange for this review, but all opinions are my own.